Basilico Ristorante is located inside the Cumberland Business Center and shares a private parking lot with the shopping center"s other tenants. Parking is free and plentiful and can accommodate up to 60 cars. The CTA"s (Chicago Transit Authority) Blue Line elevated train stop is located on Cumberland Avenue - approximately 1/2 mile straight North from Basilico Ristorante's parking lot. There is an additional Blue Line stop off of River Road in downtown Rosemont. A CTA bus stop is also located on Cumberland Ave. two blocks North of Basilico. Occasionally a live piano or keyboard player or a jazz duo will perform background music usually on Friday or Saturday evening. Basilico Ristorante offers a full array of catering options. A full catering menu of individual items offered in full or half trays is available and can be viewed directly on our website. Basilico can also accommodate virtually any customized menu request for any occasion. Please call directly and speak with one of our catering specialists to request a quote or to make arrangements. Free delivery is also offered on all catering items upon customer"s request. Basilico now offers two separate private party rooms which can accommodate parties of up to 100 people. There is no cost involved for use of the rooms and any occasion ranging from birthday parties, graduations, communions, funeral luncheons, business meetings, and tax and financial planning seminars can be hosted. Private Dining pricing is flexible. Customers can order straight off the regular dining menu, order family style, or have a customized menu created. To reserve one of Basilico"s private dining rooms or request a price quote on dining options please call in advance and ask for one of our party coordinators to make arrangements. and have been individually prepared and executed to perfection by the same trio of chefs for over three decades. The platters are delectable, being prepared daily from only fresh, high quality ingredients, served in enormous portions, and complimented by an extensive selection of fine wines. Prices are extremely reasonable and the service is outstanding. The main dining room is decorated with old world ambiance providing a comfortable, casual feel for families and business groups and a romantic, private setting for couples. The entire ceiling is comprised of individual, hand painted canvases from various local artists from Spain and Italy and is sure to be a topic of conversation. Pasta is served with your choice of soup or salad Side order of 2 meatballs or 1 sausage, $3.95 extra. Ask us about our gluten free options! Met with clients and they loved the food and service. Basilico is one of my favorite restaurants that I have been visiting for decades. Love everything about it. Great food selection. Appetizer. Drinks. Meals. All wonderful. A neighborhood gem. This was to be a bday celebration for my husband which was mentioned during reservation. No mention of it by server. Server was pushy and controlling. Talked to much with an upper hand. Salmon over angel hair pasta cooked too long. Way too much sauce. Pasta sauce cannolini was scorched. The food is always very good and the service is fast and friendly. If you’re looking for good food at very reasonable prices the give Basilico a try. Very nice place with great food and service. We love to go there. Just was our waitress. She was wonderful. Party of 6 all meals were enjoyed. had a great time with family for a birthday party. 1st time there, great food, our server was exceptional we will definitly be back. It wasn't exceptional, but it was good. They seemed to put a lot of things in flour that didn't need it and would be better without it (veal, calamari). Food was a little bland, but there was an older crowd so the chef may have cut back on salt. Great food, broad menu and terrific service! You won’t be sorry choosing this place. It’s Excellent! Great neighborhood gem tucked away in a strip mall. Rafael (owner) greeted us as ND stopped by our table several times. Our waiter was professional and very cordial. The sea bass was absolutely amazing--melted in your mouth. My husband is not a tiramisu fan, however, he ate most of it. Definitely a repeat! I've been coming here for decades and I've never been disappointed. This restaurant has great food, good prices and it is very authentic. Authentic Italian food! Everything made from scratch. Loved it! Salad would have been good but was not drained properly and had a lot of water in the bowl. Pasta was cooked perfectly and the sauce on both mine and my husband's was tasty. We were greeted nicely and seated on time but it went downhill from there. Franco was our server. He was rushed and somewhat rude. He disappeared for awhile and when we ordered another bottle of wine, he left it on the table. Unfortunately we didn’t have a corkscrew! The calamari was soggy and the tomatoes on the bruschetta were anemic looking. Entrees were no better. We will never return. Absolutely great food, service and very fair prices. Old school Italian, complete with soup or salad to accompany your entree. 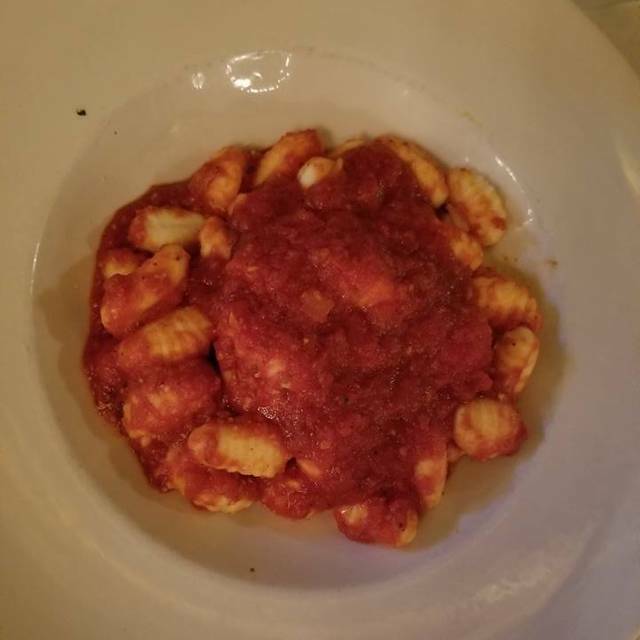 The gnocchi was perfect - soft, but not smushy. The eggplant rolls - I didn't even miss the pasta! Our server, Marja, was attentive and informative, but not in your face. We stumbled upon Basilico and we will definitely be back! 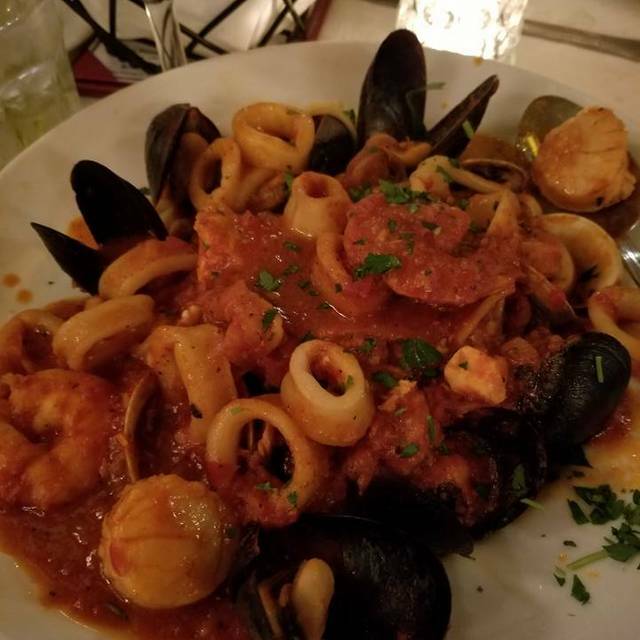 We have had the pleasure of dining here for 30 years and it is still the best traditional Italian restaurant in the entire Chicago land area. We live in the Lake Geneva WI area and we make the trek a few times a year and have never been disappointed with service and the excellent food. We highly recommend this restaurant. 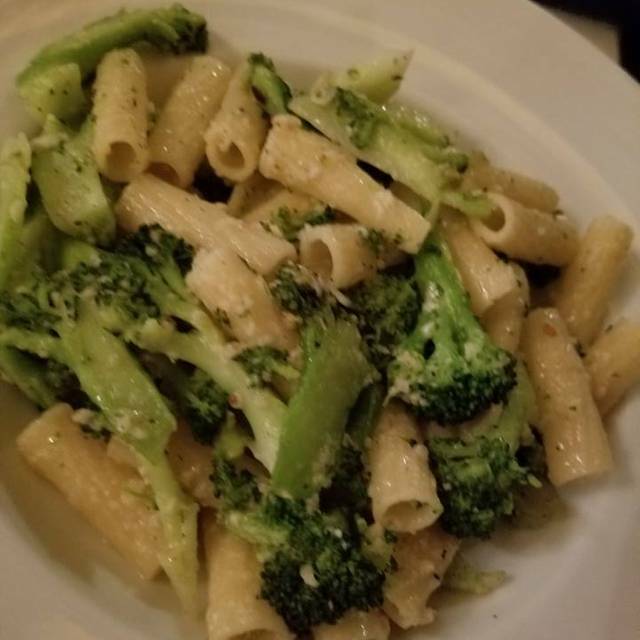 Basilico always has delicious food and this past visit was true to course. Our server was attentive without being intrusive. They are great for birthday celebrations. The food was good all 4 entries were tasty. Our waitress was a little too attentive, it was uncomfortable. Everything was wonderful! Loved that they sang Happy Birthday. Service was great and fast. This is old school Italian American, I am sure there is a market for that in the Chicago burbs and I think they heavily depend on regulars that have been coming here for years. It was disappointing across the board. It was also fairly expensive considering our party was 2 adults and 3 children. Great food, spectacular service and a wonderful atmosphere of smiles and congeniality. 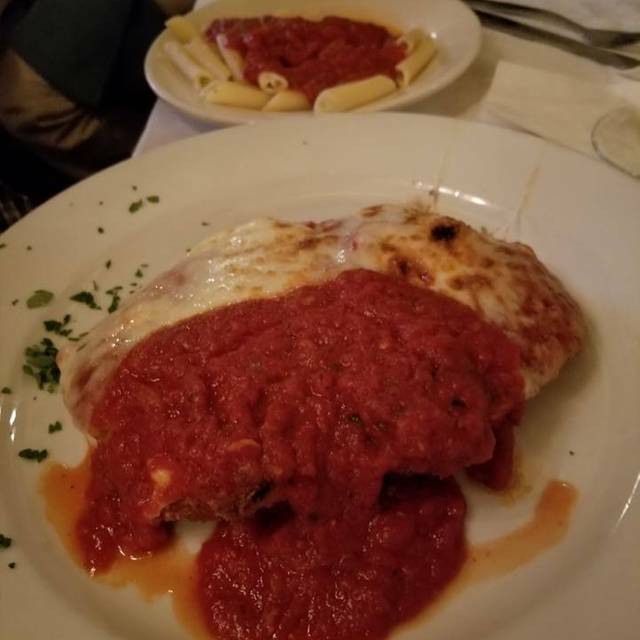 This restaurant is always a good choice for Italian food. I ordered chicken scallapini from the specials, and my friend had sea bass. The entrees include soup or salad and a side. The food was delicious and the service impeccable. In addition, the location provides excellent parking. Our server was covering several large parties but she handled it well and was very pleasant. The kitchen may have been overwhelmed too because it took quite a while to get our salads/soups. The food is pretty standard old-school Italian. Nothing fancy. Everyone commented that their dish was salty. Mine was really salty. My brother chooses this place for his birthday and he loves it. I don’t share the love. I feel as though they are overpriced for the quality of the food. The decor is very outdated. The menu on the Internet was a bit different than the restaurant menu. The food was plentiful. Camille’s were delicious, but the chocolate lava cake tasted as though it was microwaved. Had a dinner here with an old friend. It was a great place for a long conversation. The food was great—especially as they customized our orders. The food was fine, but the service was the best. Anastasia, our server, was a great guide to the menu and suggested some changes given our tastes. She was personable and attentive. It was a great evening. I look forward to being back next time I am in Chicago. I read reviews and was hopeful, but the calamari seemed reheated. The main entree was salty and the dessert seemed store bought and did not taste good. The service was great, but the food was disappointing. Very good service, everyone loved their food and the owner even stop to ask about our meal- I would definitely recommend it and eat there again. Manicotti was great. I like a bit of a thinner noodle but that is my preference. Ricotta and sauce in point. Meatballs were delicious - served with meat sauce which was delicious. Salad was like a bagged plain salad. Next time I would try the soup. Excellent all the way around..food, service, live music, etc! Felt like we were in the American legion hall stuck in a bland room away from main area when we had a reservation and tables were available.